I love products that are simple, practical, and stylish - and this built to order Kulma Framing Shelf is one of those items that fits the bill. Made of Oak and only manufactured upon request - this product is sure to spice up any room. "Kulma, corner in Finnish, is a shelf to be hanged either in a positive or a negative corner of a room. 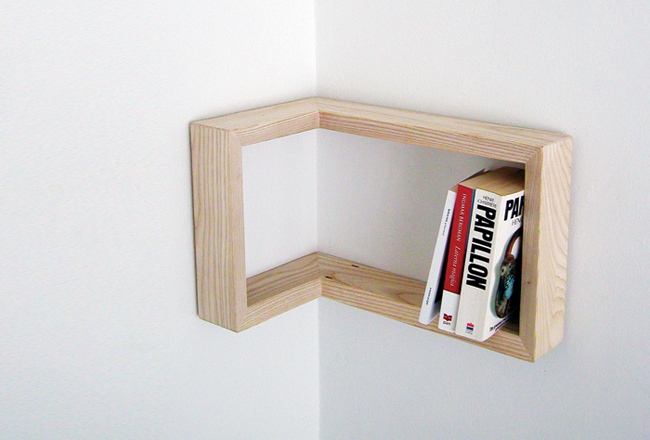 The idea is to utilize and highlight both the space within the shelf and the corner surrounding the shelf."